Growing up we are surrounded by the automotive world, inspiring us till the day we are able to get our first car. Our first car becomes our canvas, using our inspirations to mold it to the way we want it to be. 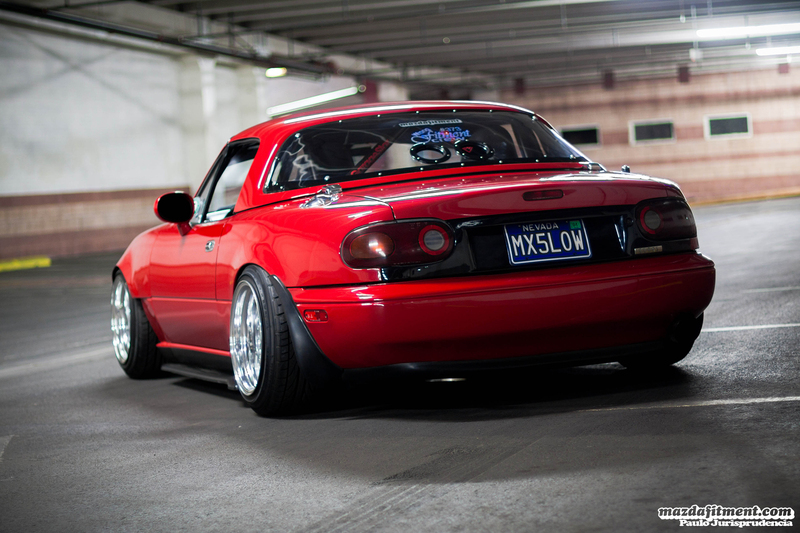 Such is the case with Anthony Dela Merced’s 1995 Classic Red Mazda Miata from Las Vegas, Nevada. Anthony has always had a passion for cars since he was a kid. Growing up his father had a two door Toyota Corona, and his two brothers always had Corollas. These inspired him when he was first looking for his first car to modify. At the time he was in search for an older Toyota, however, weeks of searching on Craigslist without finding anything to his liking and budget Anthony started looking at different makes/models of cars. 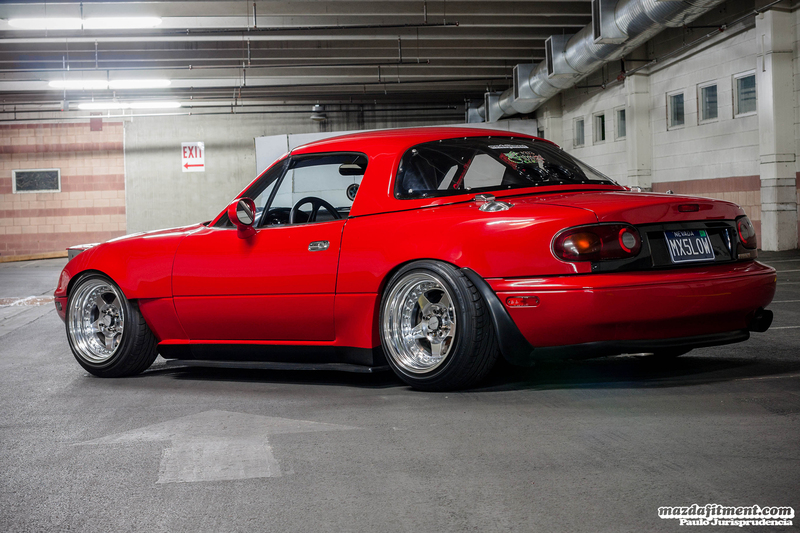 After much needed research on the Miata platform, Anthony saw how much potential the car had. 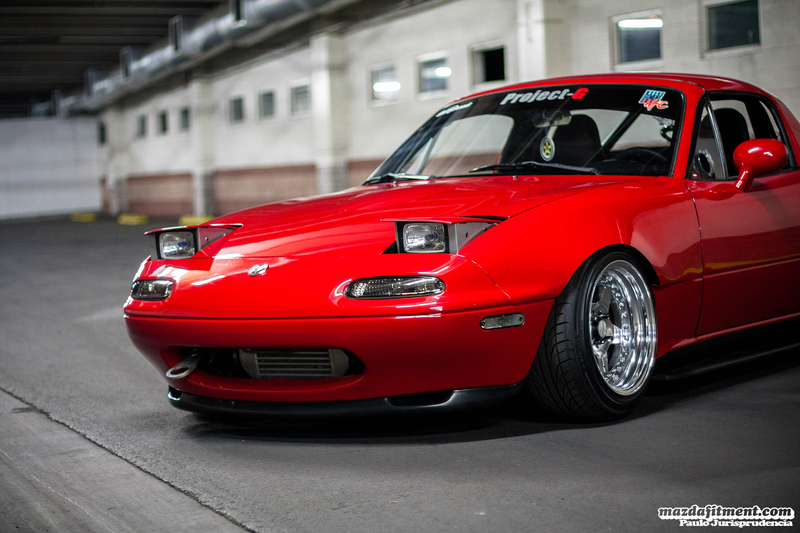 As a result, this eventually lead Anthony to finding his Miata in North Hollywood, California. If you ever wonder how the car scene is in Las Vegas, Nevada then it is safe to tell you that it fairly diverse. There is a good mixture of VIP, imports, euro, and muscle cars. But, definitely a lot of Honda owners. 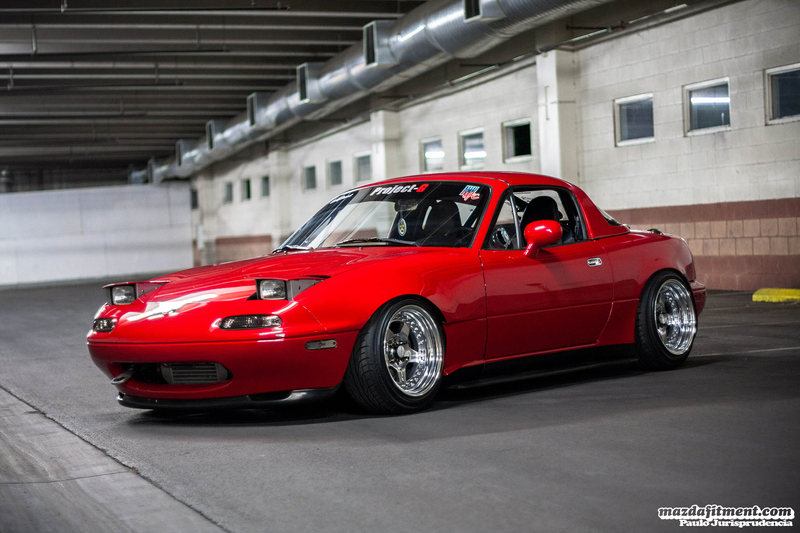 The Mazda community has grown exponentially over the years. 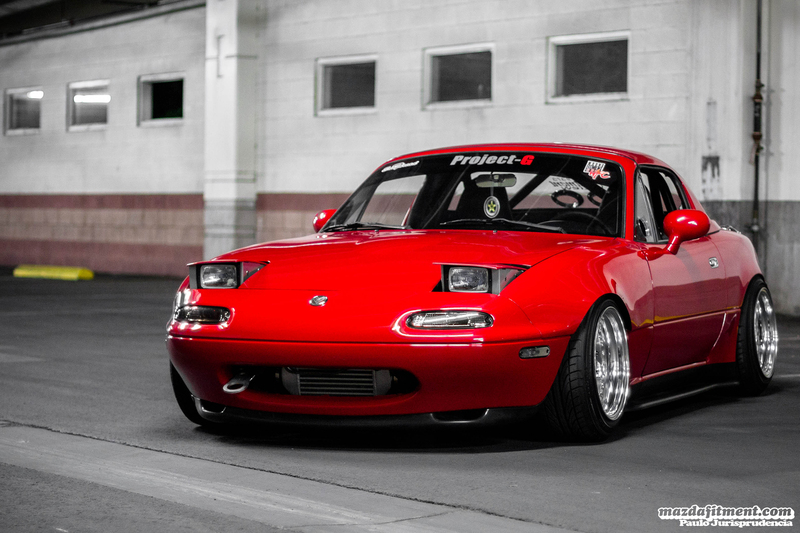 Not your average NA Miata. 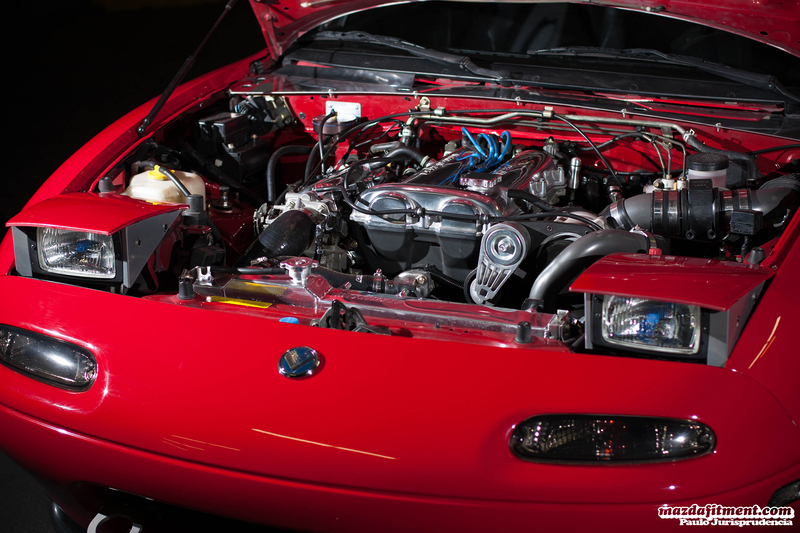 Unlike most looking to gain more power on their platform, Anthony decided to go with a Kraftwerks supercharger kit. 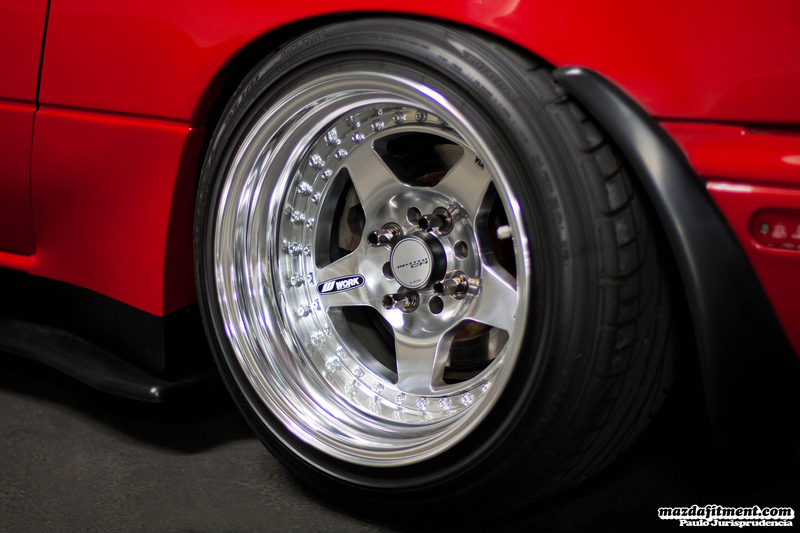 On a beautiful set of polished Work CR-01s in 15×9 and 15×9.5 on Dunlop Direzza 195/50 tires. 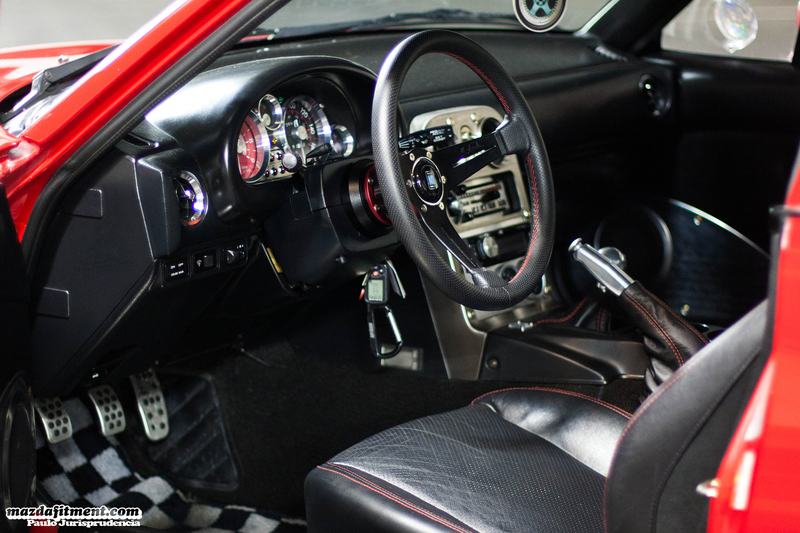 Anthony has modified his roadster from top to bottom, leaving nearly no area untouched to detail. This build is never ending so things change frequently. 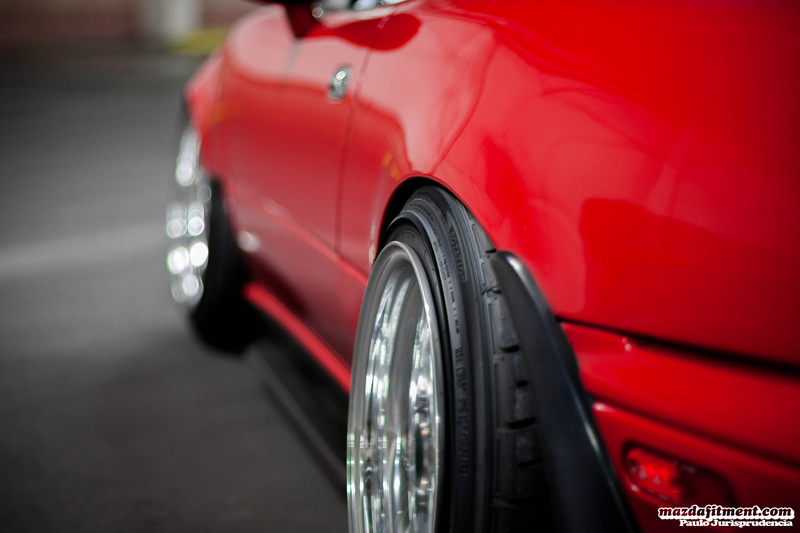 Possibly new wheels with better fitment and more aggressive in the future. Shout out to Joe, Steve and the rest of the Project-G staff for all the support throughout Anthony’s build. Shout out to the Wrong Fitment Crew family for letting Anthony be part of an awesome group of friends. Shout out to Royce, Eddie and Junior of the Las Vegas Roadster Community, and Anthony’s girlfriend Ailyne for supporting him throughout his build since day one. how do i get my intake to come down like that rather than across; like the stock setup. 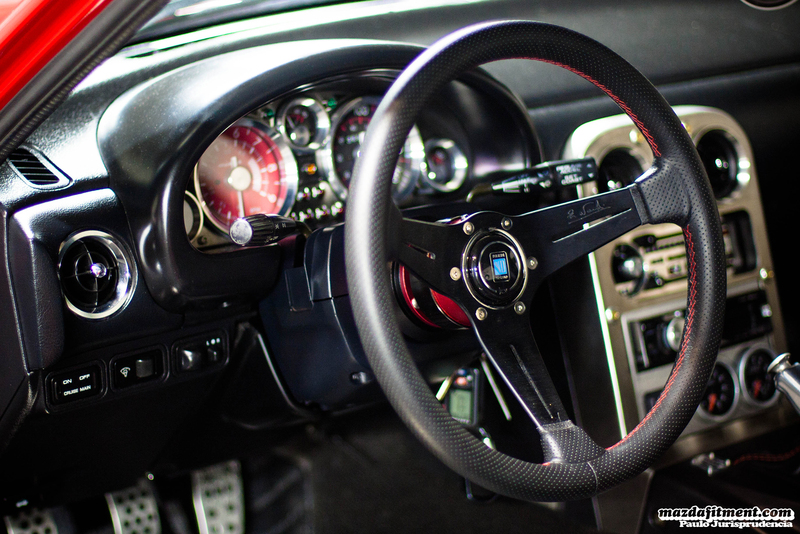 Also where do i get those interior lights that go on the side of the center console? ?